Wired consists of a series of abstractly shaped bird forms perched upon wires. 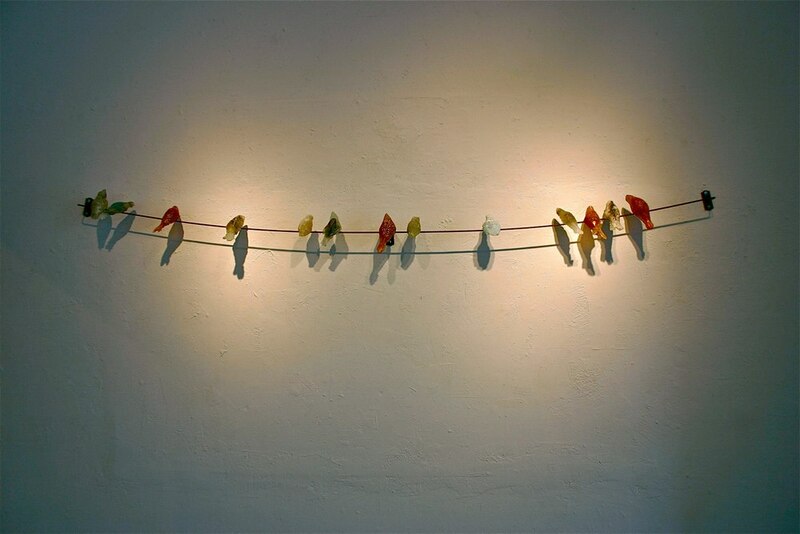 Each bird is created using the ancient technique of lost wax in the formation of the kiln formed recycled glass. Thematically the image of birds perched on wires is one of familiarity. For Sanders however the meaning of the birds on their wires is a metaphor for the effects of human beings on the natural world and how the two adapt and interact. Each bird contains the notion of the birds as spirit guardians observing from above. Always changing while staying the same. No matter where one travels, one is certain to see the familiar site of birds resting, watching and looking down upon us all.